lol…go for it Sadie 🙂 And thank-you for all your lovely comments!! Love biscotti and I so much like that you used almond flour. I am a fan of gluten-free flours and I bet here it was perfect. I would just omit the anice because I don’t like licorice, anise, fennel and all similar flavors. (I am an atypical Italian 😉 . But for the rest they’re right up my alley. Great recipe! I should then mention that almond extract will work beautifully in this recipe, thank-you Nicoletta! It looks great! I am not fan of anise either so thanks for the substitute! I am not sure why but for some reason I get many other bloggers re-following on a daily basis. WordPress assured me everything was fine but I know there must be an issue somewhere! Has it ever happened to the you? Oh, and thank for the re-follow? I suppose it will resolve itself one day….glad your back? I love biscotti too. Funny, I keep a jar at work as well, which you’ve just reminded me is empty! I’m thinking these might be the refill! They look perfect! Marisa, I love biscotti and yours with the almond flour and chocolate are making me drool! I am so happy to see this recipe and think that the almond flour is a key ingredient to give them that light airy texture, Beautiful and I can’t wait to make them. Absolutely the perfect biscotti with a nice espresso! I love biscotti. The chocolate and anise pairing in this recipe looks wonderful. I love biscotti and this look so good ! and with coffee it will be the perfect combination ! Gorgeous, Marisa! I’ve never used chocolate with anise! How perfect these must taste! Seems just perfect! Looking forward to trying them! We need a good dunking cookie in this house! I can have these all day 😀 Looks so good! You are right about being transported to biscotti heaven, these sound like they could be my new favorite. Hi Marisa, I am making your biscotti today, I changed a little only because I didn’t have any anise and I added hazelnuts. They are in the oven now and if it’s ok with you I am going to blog about them with a link to your blog. I’m so glad I found your blog. It is one of the best in my opnion! 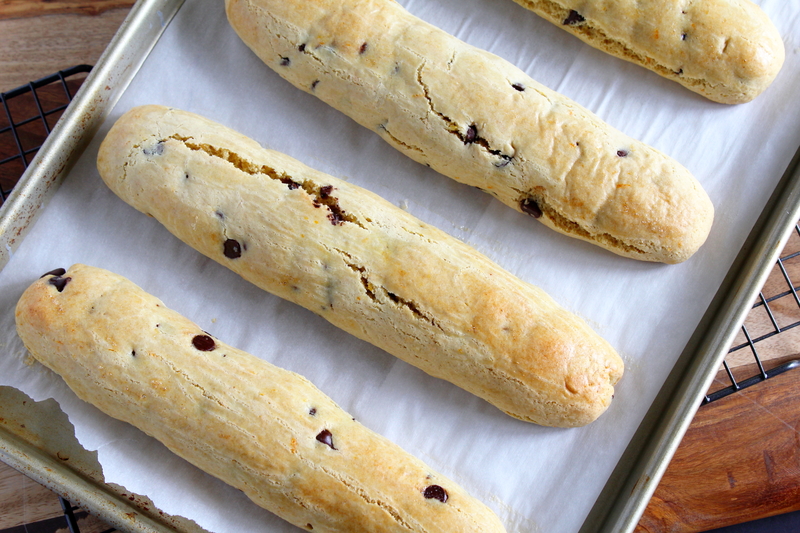 These biscotti look great. Btw, one of my followers had to follow me daily because he kept getting kicked off on WordPress.